Traveling to Sibiu on business or for leisure and need a safe transportation means? 8Rental will become the car rental service you can always depend. It offers a series of advantages to make use of including comfortable car models, reliable drivers, freebies and a premium customer service. Are you interested? Then let's get some more details on each point. The series of standard vehicles presented by 8Rental includes models by Skoda, Toyota, Ford and Volkswagen auto manufacturing brands. Each of the cars offered is in excellent condition and can be rented on a profitable basis. Though they cost little, the cars are equipped with everything you may need for driving in Sibiu in complete comfort and safety. Standard class cars are great for leisure travelers, as they are compact, cost-effective and well-equipped. 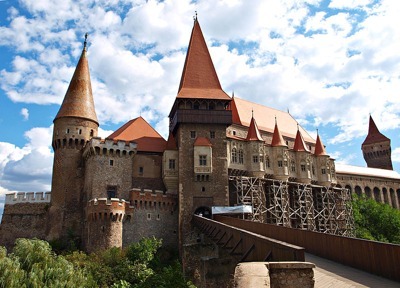 Rent a car with driver in Sibiu and enjoy every minute spent in this lovely Romanian city. For business travelers, 8Rental suggests hiring a business class car. Along with First class cars, these have the leading auto brands' names on. We have cars by BMW, Mercedes, and Audi. All these green cars are enriched with all premium specifications you may expect to find in an expensive car. Choose any of these cars to hire a chauffeured car in Sibiu being sure you are going to love what you get! As far as you are interested in first-class cars, 8Rental wants to remind you these are all luxury models which looks astounding though cost somewhat more expensive than the vehicles of the first two classes. If you are used to driving in chic and style, you'd better consider booking a Mercedes S class car with an elegant leather interior and all premium amenities. Audi A8 and BMW 7 are perfect for those who prefer the combination of lush and speed! Hire a chauffeur-driven car in Sibiu to have an unforgettable traveling experience! 8Rental is a car supplier highly respected in entire Europe. We do everything to achieve the highest customer satisfaction level and preserve our excellent reputation. Therefore, we deal exclusively with licensed and qualified drivers who can guarantee the security of passengers during the whole tour. 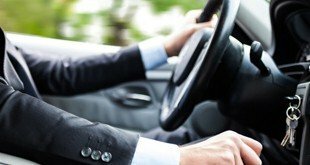 Once you book a car from 8Rental, you are provided with a reliable and skillful chauffeur to drive you along Sibiu's roads quickly and safely. All our drivers are well aware of the city's streets and can take the correct direction easily after hearing the address. 8Rental is available 24/7 to serve all clients in search of reliable passenger transportation in Sibiu. Our customer-friendly cs operators are ready to recommend you the most suitable car model and find you the best driver to drive in the city. We shall also provide you with free-of-charge fuel. Our transparent price system is sure to appeal to you. By getting a quote and filling it out, you will get the accurate price of your order with no hidden fees. To your wish, we can send the booked car directly to the airport to meet you and take to your hotel. Please, feel free to state any additional requirement you may have. Be sure; we shall do everything to make your traveling in Sibiu unbelievably pleasant and remarkable! Appearing in Romania and not visiting Sibiu will be a mistake you should avoid. This magnificent city is so charming and thrilling! It is a great place to get lost on and stay with only yourself! 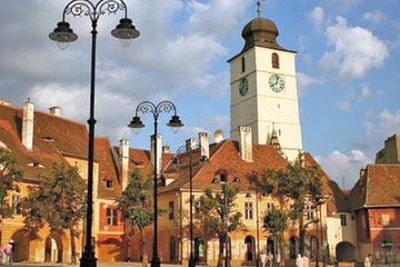 Don't deprive yourself of traveling in the city in comfort and hire a car with driver in Sibiu. Make sure you visit such essential sights as Big Square, Piata Mica, Turnul Sfatului, Strada Nicolae Balcescu, The Tower of Stairs, Fortress Walls, Biserica Ursulinelor, Biserica Romano Catolica, Brukenthal National Museum, and others.